Details! Spirit HEARS U, ANSWERS SEE FEEDBACK! Please plan to spend at least 5 minutes with me. I am quick to respond, communicate and am very spiritual. Let me provide you with answers. Serious callers only. Thank you for always being there for me ?????? Dr. LInda conducts psychic readings, has the ability to heal, is a spiritual medium and consultant. Dr. Linda is astounding! Linda is often imitated but never duplicated! Beware of other so-called "radio psychics"! We are truly few and far between. I have been documented to do what other psychics only claim to do. I have had over 15 hours a week, not just a segment or an hour broadcast. I am the first psychic to be syndicated in radio and proud of it. You will experience my accurate, honest, and spiritual input. I get to the point but I won't give you false hope. 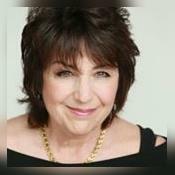 LINDA SALVIN, M.P.H., Ph.D. in Metaphysics, is an internationally-recognized RADIO psychic. Lindas Spirit has been a user of Keen since 2001. Getting Spiritual Readings advice from Lindas Spirit through www.keen.com is safe, secure and confidential.